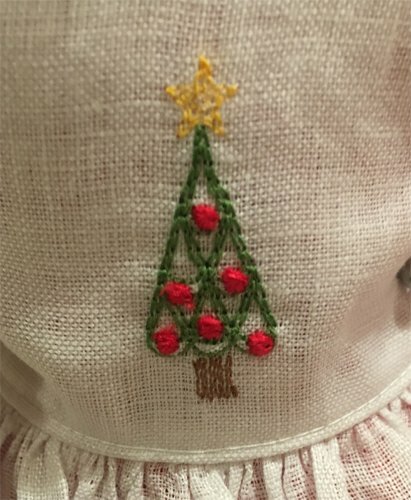 Christmas Trees for Dolls embroidery designs to enhance a doll's pinafore or dress. The designs can also be used in other places where a small motif is needed (the trees) or to add scallops along longer edges. This is a set of electronic files to create the embroidery shown on the pinafore. Scallops with and without the three Christmas trees designs are included. 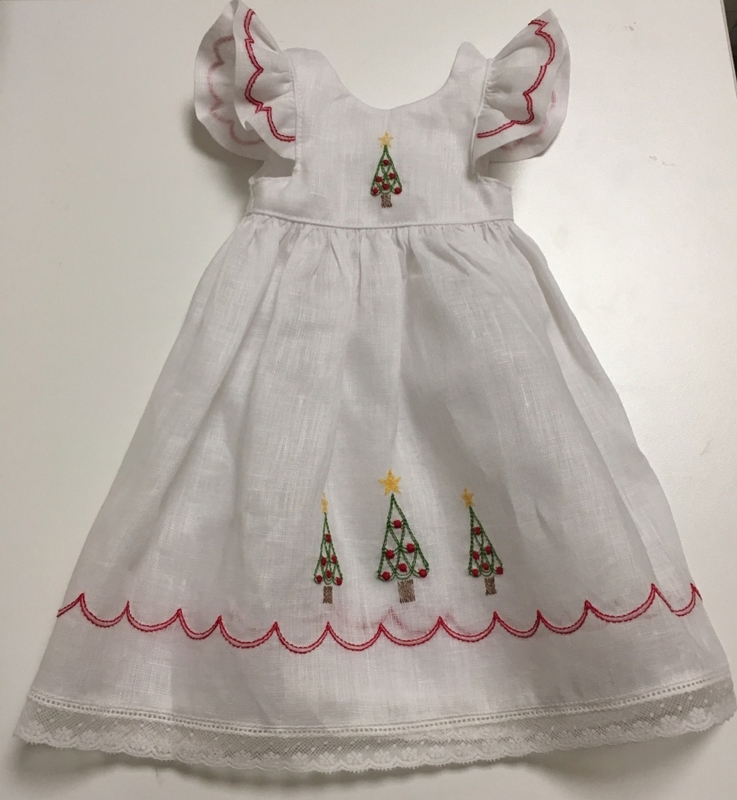 The design for the single tree shown on the pinafore bodice is also included. You will also receive directions for stitching the twin needle scallops to encircle the skirt of the pinafore. The design as shown uses two sizes of twin needles: 1.6mm and 2.0mm. A single needle for embroidery is also needed. The pattern for the pinafore is found here. 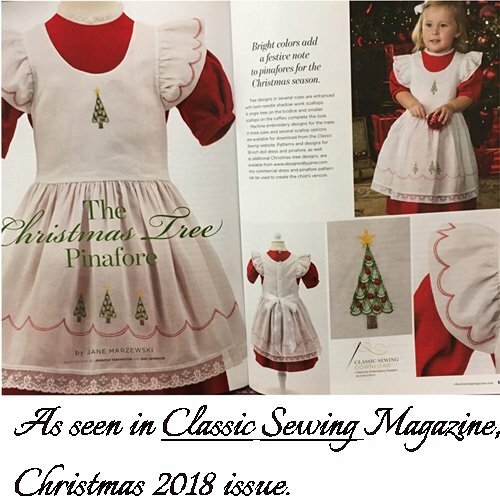 Designs and instructions for little girl's pinafore are available in the Holiday issue, 2018, of Classic Sewing magazine. See details here. Designed by Jane ©Copyright 2019. Powered by SunShop "Shopping Cart Software"